FRANKLIN-based Cardiac Profiles today announced it is collaborating with Mayo Clinic for development of diagnostic and clinical decision support protocols for use of its diagnostic and monitoring technology. The company has also mapped-out a series of capital raises for the company as it moves toward the FDA 510K pathway for medical devices. The company's priority product is its FloWave™ monitor and reporting device, which concurrently assesses certain cardiac measures and data trends associated with heart failure, in order to reduce needs for hospitalization or readmissions, while helping preserve patients' quality of life. CEO Rankin 'Kin' Clinton today told Venture Nashville that he and other investors in 2011 raised $2MM in Series A capital to recapitalize a previous company, Woolsthorpe Technologies, which he joined as board member in 2004. The recap came not only as the U.S. economy was regaining its footing in the wake of the Great Recession, but also as interest began rapidly expanding in managing cardio-vascular care outside hospital walls, assisted by mobile-app communications. Thus, nearly eight years ago, much of the Series A went toward building a mobile handheld version of the company's technology. The majority of the Series A funding came from friends, family and insiders, with about $600K from individual Angel investors, he said. The CEO said no shareholders have exited the company since the formation of Woolsthorpe. During roughly 16 years, investors in the companies have invested north of $14MM in equity capital, including the $2MM recap in 2011. When asked what sweat equity he'd established, Clinton said it has thus far totaled about $6MM. Clinton today also confirmed for VNC that the company recently began conversations within a Series A-2 round targeting $3MM. He said he believes that relatively modest Series A-2 is likely to be sufficient to fund further clinical studies and pursuit of FDA clearance for for the company's 510(k) Class II-eligible medical device with nonsignificant health risk. Asked about capital raises farther out, Clinton said a Series B targeting $15MM-$20MM is likely to be targeted by 2020. In the interim, he's focused on satisfying FDA 510k requirements. Clinton said the company is having conversations with potential institutional investors in Nashville and beyond. That said, Clinton added that he has not yet seen evidence among Nashville investors of improved appetite for early-stage medical device companies. It was in 2008 that VNC first reported Clinton's view of the Nashville market. Asked about eventual exit options, Clinton said he believes Cardiac Profiles can defend its position well in the near term. A strategic exit could become attractive at some point, but not likely before the company has conducted and deployed its Series B raise and demonstrated adoption and value. The CEO said his company's opportunity is substantial, in part because he senses that "legacy medical device companies do not understand and are not interested in inexpensive home-based technologies," rather than solutions designed for acute-care settings. In contrast, he said, his team believes in the "blue ocean strategy of innovation" and is intent on delivering a technology that anyone can use in any setting. He also pointed-out that Cardiac Profiles' business strategy isn't that of a traditional "medical device" play. Rather, the company's aim is to "develop a device-enabled services platform" for management of chronic disease, capturing large amounts of cardio-vascular and other data to improve diagnostic accuracy and predictive analytics. He sees recent offerings from Alphabet/Google's Verily Life Sciences and Apple Health as reinforcing this vision, even while those offerings do not currently support the degree of cardio assessment afforded by FloWave. He noted that his company has had some conversation with Apple and has opened a door for similar conversations with Samsung and others. FloWave enables assessment of a patient's hemodynamic status, which the company describes as "the principal measure of cardiovascular health and performance." Factors determining that status include cardiac preload, contractility and afterload, with specific measures of stroke volume, cardiac output and ejection fraction," the company said in its press release today, in which it described FloWave as "clinical grade, consumer accessible." In testing done in collaboration with institutional partners and under Institutional Review Board (IRB) auspices, more than 600 patients have been provided the company's device, which has been in its current FloWave configuration about two years. In addition to its new collaboration with Mayo Clinic regarding protocol development, the company has done clinical studies with Minneapolis Heart Institute and with Schnitzler Cardiovascular Consultants, an Austin practice focused on cardiac electrophysiology. 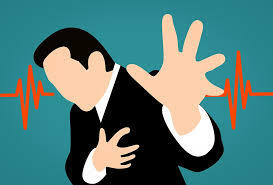 As outlined in the company's U.S. Patent Office award for patent #8,834,382 (Sept. 16, 2014), the company's solution for assessing certain cardiac functions involves both novel methods and algorithms. Rankin Clinton is listed among the patent's inventors. The FloWave trademark became registered in August 2016. Clinton said today that the company has another patent pending; and, it owns additional intellectual property he believes has "credible commercial potential." Clinton said he does not know of a competing offering to FloWave that can be used for an in-hospital assessment and then leave the hospital with the patient. Its mobile monitoring will soon to be Cloud-enabled, and now relies on bluetooth connections. No single shareholder has controlling interest in Cardiac Profiles, he said. The company's largest single shareholder is Dorothy Davidson, CEO and co-founder of Davidson Technologies Inc., a Huntsville contractor with a long history in Defense and Aerospace sectors. Davidson Technologies is also "managing venturer" in a joint venture it created mainly to support U.S. Army Space and Missile Defense Command/Army Forces Strategic Command (USASMDC/ARSTRAT). Asked whether FloWave might be deployed beyond traditional healthcare, for use by U.S. military combatants and medics, first-responders and others, Clinton replied that Cardiac Profiles is, indeed, in a related collaboration with Iowa-based AthenaGTX. He added that it also seems likely that Fitness and Wellness could become productive markets for the company, with wearable devices and other configuration enabling cardiac assessments in a myriad of unconventional venues. 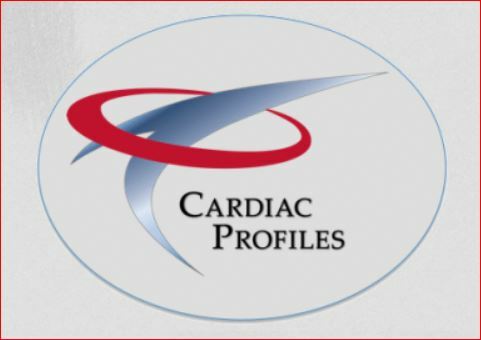 Cardiac Profiles' chief science officer is Greg Voss. The company's outside advisors include Bruce Johnson PhD, a professor of medicine and physiology at Mayo Clinic; Bernhard Sterling PhD, an expert in pulse oximetry, based in Danville, Calif.; Jay Morris MD, chief medical officer, Ascent Care Partners (Houston); Andy Lawrence, CEO, Crosstek Engineering, Minneapolis; and, Scott O'Hanian, a software engineer with Integration Innovation in Huntsville. Formal advisory relationships are in-place with investment banker Monte Tucker, managing director, HealthCare Markets Group (Houston); attorneys including Riney Green of Bass Berry & Sims; and, registered patent agent Steven Vosen PhD of Alameda, Calif. The company relies on Wilson & Wilson CPAs of Nashville for accounting; and, it banks with SunTrust. Management also works periodically with regulatory affairs consultant Annette Hillring, who earlier spent a decade within Johnson & Johnson businesses, according to her LinkedIn. Clinton, now 62, is a former U.S. Army officer who served within that branch's Judge Advocate Corps. After military service, he was a member of Mission Partners LLC, a private equity firm here, and was president of one of Mission's holdings, Digital Divestment Corporation. Digital Divestment created digital datarooms for support of M&A parties and their advisors. 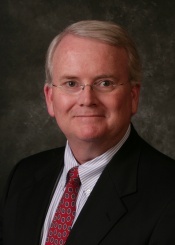 His early private-sector career also included stints as president of locally based Extendicare home healthcare; and, as EVP/COO of Osco Treatment Systems, which was sold to Laidlaw Environmental Services of Nashville. Clinton said Osco had been backed by Sirrom Capital and by VC Massey Burch. Clinton is a Huntsville native and long-time resident of Williamson County. He earned his bachelor's in environmental and water-resources engineering at Vanderbilt University and his JD at the University of Alabama School of Law, according to his LinkedIn. He and his wife have four adult children, one of whom -- Rankin Clinton IV -- is director of strategy and business development (including M&A) for GE Healthcare, based in Chicago. He, also, is a former U.S. Army officer.